Do you want to enter or expand in the Turkish market? Impress your potential customers or partners by showing them your knowledge of their culture. Like in any market, understanding the culture of your prospects and maintaining effective communication with them is essential to making successful deals. Culture impacts many aspects of business, including business protocol, decision-making and negotiation. Without local knowledge, accomplishing business objectives can be challenging. Turkey promises great business opportunities if you are well prepared. 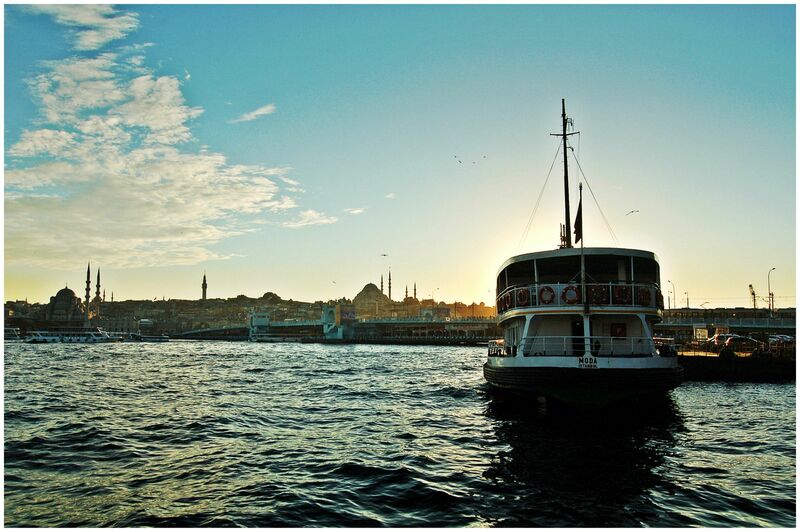 Here are some tips you might need to ensure your success in Turkey. In Turkey, you will find yourself in a unique business environment. Doing business in Turkey is not complicated but you need to have a good understanding of how local businesses operate. Getting a trusted recommendation is a great way to make new business contacts in Turkey. The Turkish community in the UK can provide good contacts. Face-to-face meetings or phone calls are considered more effective than e-mail. A visit to your client will be highly appreciated and shows your commitment. Schedule meetings ahead of time to avoid Turkish holidays. In Turkey, initial meetings are often ways to get to know you as Turkish people prefer doing business with people they know, trust, like and respect. Do not immediately discuss business but rather engage in a conversation to establish a personal relationship. When you visit your clients, you will immediately be offered Turkish coffee or tea; it is considered impolite to refuse but you may ask for water instead. After the small talk, you can start the discussion by introducing yourself and your business. Turkish people like communicating visually and orally. You might consider supporting your discussion with visual materials like drawings, graphs and charts. Make sure that your presentations are short and to the point. Have your important materials translated to Turkish, in order to get your message across. Business culture in Turkey is hierarchical so make sure you are talking to a decision maker. However, keep in mind that whilst you might be talking to people who cannot make the ultimate decision, your ideas and projects might have to be presented to and approved by them before the management gets involved, so you need to maintain a good relationship with them. Although many Turkish professionals have a good command of English, it is recommended to use a professional interpreter in order to avoid misunderstandings. Turkish people are known for their hospitality. They will like to get to know you over long business lunches or dinners. In Turkish cuisine, pork is expressly forbidden for religious reasons. Do not start eating until the oldest person at the table has been served and started to eat. Although many Turkish people may drink alcohol, it is recommended not to order any alcoholic beverage unless they do first. Turkish people are proud of their cuisine, so show your appreciation of the food. You can discuss business during the meal, but it is advisable to let them lead the conversation. As a tradition, Turkish tea or coffee is served at the end of a meal. Drinking coffee is seen as a gesture of hospitality, so make sure you try it at least once, even if you just take a few sips. As the host, they will pay for the meal. You may politely offer to pay but it is unlikely that you will be allowed to do so. If you wish to reciprocate, you could bring a small gift to the next meeting or invite them for a meal at a restaurant of your own choice, informing the restaurant beforehand that you will be paying the bill. When it comes to business conversations, there are some cultural mannerisms that should be considered when doing business in Turkey. A firm handshake is important when greeting your Turkish contacts and also when leaving. Men should wait for the woman to offer her hand first. Turkish people have a great respect towards the elderly so greet the oldest person first and stand up when an elderly person enters a room. Maintain eye contact while speaking, as it’s considered to be a sign of sincerity. Turkish people do not require as much personal space as many other cultures. However, do not back away if your Turkish counterpart touches or stands close to you during a conversation, as this can be seen as unfriendly. Tipping your head forward means ‘yes’, while lifting your head backward and raising your eyebrows means ‘no’. The most common greeting is ‘Merhaba’. You may also hear the phrase ‘efendim’, used quite often as a polite way of addressing people. In Turkish business practices, addressing people by their occupational title alone, such as ‘Doctor’ or ‘Lawyer’, is very common. In a professional setting, the first name is never used on its own. It is correct to address a Turkish person as ‘Mr. Mehmet’ or ‘Ms. Ayşe’, otherwise you can use ‘Mehmet Bey’ or ‘Ayşe Hanım’ as forms of address. Turkish people will prefer using ‘siz’, the formal form of ‘you’. You can make a good first impression by speaking highly of Turkey, its natural resources, geographic importance and hospitality of the local people. Understanding Turkish culture and abiding by the appropriate etiquette will help you develop successful business relationships and gain respect from your prospects. Avoid talking about religion, history or politics. Families, weather and football are safer topics in small talk. Do not show a lack of respect for family and cultural values. Crossing your arms, standing with your hands on your hips or in your pockets while facing or talking to someone. Showing the soles of your shoes when sitting with your legs crossed. Making the "OK" sign by connecting the thumb and index finger into a circle. Remember that face-to-face communication dominates in Turkey and you need to win Turkish people’s trust before doing business with them. Local knowledge is essential for your success. Pressure tactics, such as imposing a deadline, may not work in Turkey and in fact, they can turn against you. Decision-making is a slow process, so be patient. In Turkey, some things may take longer to set up than in the UK, especially if they involve bureaucracy, so allow for this in your planned activities. Think ahead, but bear in mind that things often change rapidly and unexpectedly in Turkey. While browsing resources for businesses thinking about expanding to Turkey, I came across this article that provides insights from a few British companies that have succeeded in the Turkish market. If you are looking for opportunities in Turkey and need someone who can bridge the cultural gap, you are welcome to ask me a question in the comments below or contact me for a no-obligation consultation.